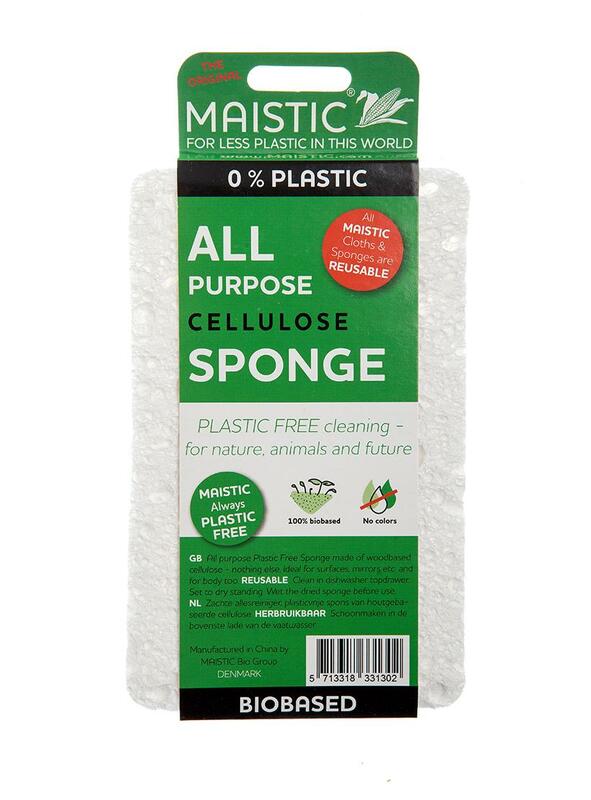 We have been trying out this MAISTIC® cellulose sponge at home and in our opinion it is the perfect combination of a sponge and a cloth. It works really well on smooth surfaces, including windows and mirrors, absorbing dust and fluff along the way. It is super absorbent and it's even soft enough to use as a bathing sponge. Wash by hand or in dishwasher top shelf. Biodegradeable and compostable at end of life (but please bear in mind before putting into compost what chemicals, detergents, oil or paint etc. 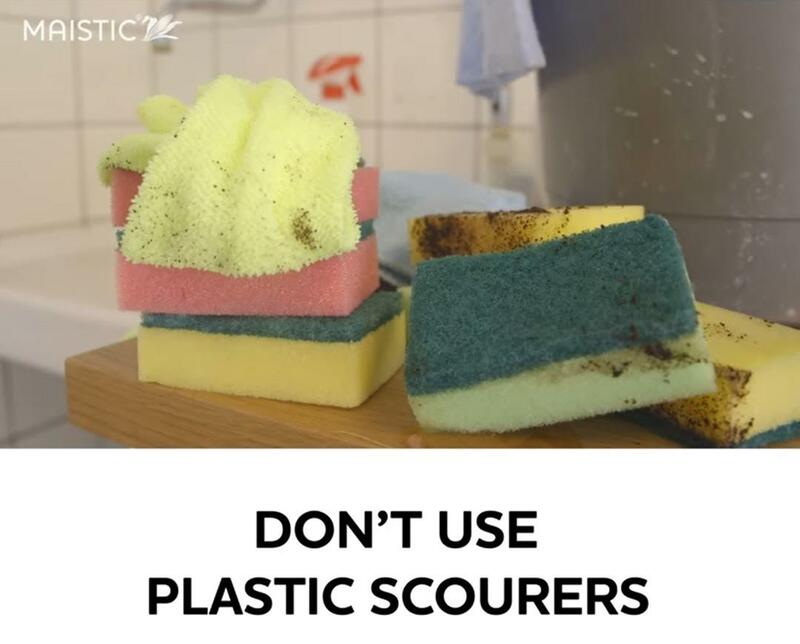 you used on the sponge during its long and industrious life - be mindful not to contaminate soil). 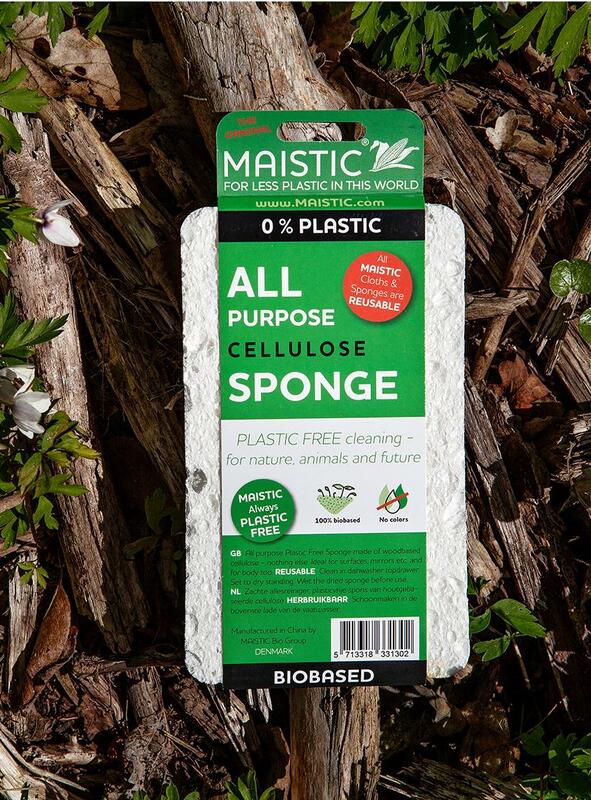 MAISTIC® Bio Group is a Danish family owned company and developer fully dedicated to the development and production of plastic free and compostables for packaging and products. Their mission is to give people, businesses, food producers – basically EVERYBODY – alternatives to the traditional plastic products and packaging.